Fall in the Glens Falls Region means that apple picking season is in full swing. As summer turns into autumn, the days get shorter, the leaves change colors, and the weather gets a little cooler. 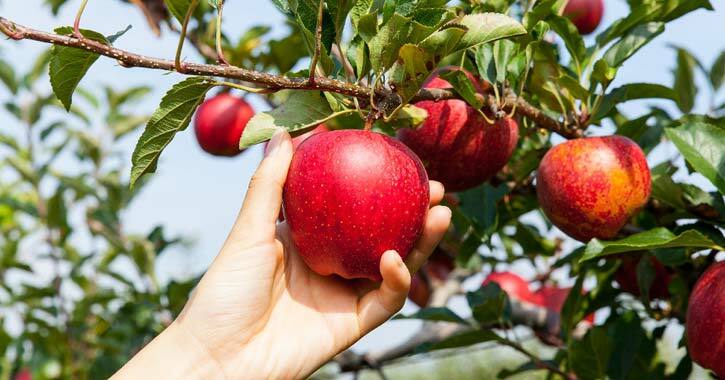 It is the perfect time to head over to your local apple orchard with the whole family for some amazing apple picking. The Glens Falls Region is a great destination for apple picking in the fall. There are many apple orchards to choose from that feature different varieties of apples, including Cortland, Empire, McIntosh and more. Depending on when you go, however, certain apple varieties may be unavailable if they are not in season. If you have a variety of apple in mind, be sure to call ahead and find out if the orchard has it available for picking. Wherever you go, you are sure to enjoy the fall weather and this fun seasonal activity. View even more apple orchards in the Capital Region.